Market-winning knowledge from Australia's fastest growing agencies. Now that the first quarter of the year has past, it’s time to reflect: how have you fared when it comes to amping up your prospecting game? In our blog Old Ways, New Means: Prospecting in 2018 Part One, we presented you with traditional prospecting methods each given a modern-day twist. 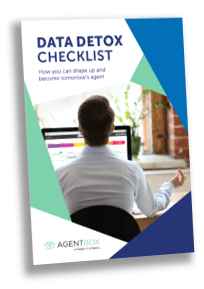 From anniversary reminders to door-knocking, did you change up your prospecting game by following Agentbox’s suggestions? In this month’s blog, we’ve got more ‘old school, new ways’ gold to help fill your database with vendors ready to sell. It’s all about working smarter not harder, and embracing technology that rewards you with big results from little efforts. Our advice? Amplify your influence and grow your prospective vendor list with part two in our blog series, ensuring you’re the agent of choice every time. I bet there’s a hidden vendor sitting right under your nose this very moment. Your challenge is to unearth them and convert them. Make it easier to recognize passive clients on the cusp of becoming vendors by doing solid database work up-front. This might mean determining purchase anniversary dates for all past buyers, adding them to your prospective vendor call list. Think strategically too – what is the timeframe owners typically sell their homes within in your farm area? Make sure your CRM has anniversary reminders set-up to make prospecting a ‘dial and go’ proposition. There are myriad reasons to connect with prospects – from a new baby to a change of job and everything in-between. Take careful notes after each conversation and load your CRM with client call-back reminders. More than just an amusing TV show, your community is the place to establish your reputation. You need to win the respect of the community you sell within by taking time to connect in real time with real people. So get out there, attend events and participate! Sponsor organizations that do great work, share community events with your database when appropriate, and don’t forget to take happy snaps when you’re out and about, sharing them on your social channels. Don’t get bogged down in needing to ‘ROI’ every aspect of your prospecting – having fun with your community and showing goodwill is beyond the measurable. Does your website help you win listings? Make sure your website is pulling its weight in lead generation by ensuring it actively promotes your success as an agent, showcasing the outstanding results you’ve achieved for vendors. Use a ‘pop-up’ or lead magnet eBook to passively gather data from prospective vendors while they’re browsing your profile – this eBook might be focused on sales and property management results in their area, or it might offer ideas on achieving the best price for their home. Combine website messaging with an email campaign, encouraging recipients to share the newsletter with friends to win a prize of value (i.e. a $5000 home make-over). Consider amping up your organic Google relevance by writing a blog answering ‘Frequently Asked Questions’ from vendors and buyers, before sharing it across social media and in your weekly newsletter. Providing opportunities for engagement with your prospects is half the battle – so get creative and stay top of mind during the homeowner’s selling cycle. Take every buyer enquiry as an invitation to prospect! Ensure that all your transacted properties are listed on realestate.com.au, domain.com.au and your own website. When you receive an enquiry on a sold property, be generous with your knowledge and provide sales results where practical – it’s entirely possible you’re speaking to your next vendor. Add comments to your sold property listings i.e. ‘Record sale in just five days!’ or ‘Active buyers missed out on this property – I need another four just like it!’ This is an effective way to build your prospective vendor list from an often-ignored source: sold listings. Create custom audiences in Facebook using your database, allowing you to share your content to prospective vendors on the cusp of selling their home. Ensure you post a mixture of market updates and insightful property-related material in addition to community events in your farm area. Curate ads with interesting subject matter i.e. ‘Spend $10,000 and make $50,000!’ and provide examples of vendors who have made a windfall courtesy of your expertise. Don’t be afraid to share your own personality and interests, too! Vendors love to hear about big sales results and powerful, short campaigns that exceed expectations. Don’t let creative social media (including videos and paid advertising) fall into the ‘too hard’ basket – if you’ve got the right CRM, segmenting (and delighting!) your audience will be easy.